Everyone should know by now that Oranco will be hosting the CBH State Broadhead Championship on Memorial Day Weekend, May 27th & 28th. We will also be hosting the CBH State Field Championship two weeks later on June 10th & 11th. Both Roving Ranges will be closed starting on Friday, the day before for range setup, so make plans accordingly. We are trying to get the range into tip top shape and I want to recognize a few people for their hard work. Max Burk, Todd Dancer, Steve Smith, and Joe Baglio have been replacing railroad ties with cement block steps on targets 17 & 18 on the Mountain Range. There are now 58 steps going up the hill. 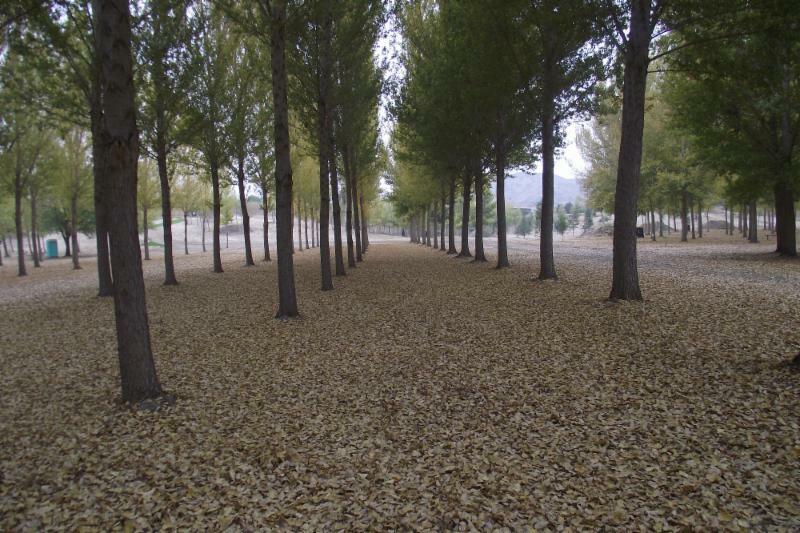 Bill Payne has that as his Target Assignment and he has also pitched in to do all the raking and chip spreading. He probably has the nicest target on the range. “Good Job” to all of you. The Mountain Range is looking good right now and we owe all of our guys with Target Assignments a “Thank You” and a “Keep up the good work”. Bill Waltz and Don Livingston have been keeping the range mowed, giving it a park like look. Jason Duysings is rebuilding the Bear Valley Cook Shack and says it will be ready for the State Broadhead. We are also replacing the 1 foot culverts with 2 foot culverts. We hope this will cut down on the amount of water that goes across the Valley Range and Practice Butts. As usual, we will need a lot of help with the cook shacks so see Tony’s article to get information on how to help. I will be doing a class on how to shoot a Field, Hunter and Animal round per NFAA Rules. For more information see the article below. Mabel Ison will be doing a Level I Instructors Course on May 21st. If you are interested, please see the article below. Club Dues notices will be going out very soon so be sure to return them before June 1st to avoid the $30 late fee. We recently had two people that have been signing in as Members and one of them hasn’t been a Member for over two years and the other one hasn't been a Member for over one year, yet they had the combination to get in. It is hard to know who is a Member and who is not a Member, so when you sign in on Sundays you will need to show whoever is on duty your current Membership Card. Also, whenever you are shooting the range you must also have your Membership Card on your quiver visible for everyone to see. All work party credits from now on will be going to your next year’s dues (2018 / 2019). Al Wiscovitch is going to help us on a big project to install a sprinkler system to water the entry roads to cut down the dust created when people drive by the Practice Butts, so please be careful in that area because there might be some open ditches for a short time. 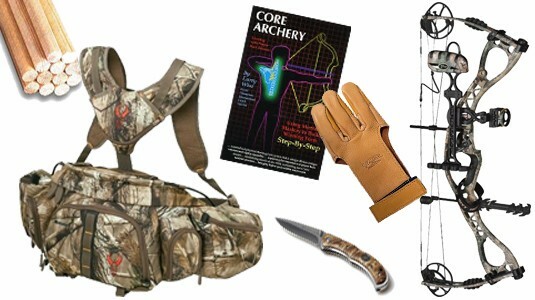 Don’t forget to preregister for the State Broadhead to save $10.00. The State Field is preregistration ONLY. Shoot straight and be careful. Both the State Broadhead and the State Field are coming up. They are both two-day tournaments. We will need a lot of help for the cook shacks. Oranco Bowmen will offer “3” work party credits PER DAY to anyone who volunteers to work for BOTH DAYS of the same tournament. Learn how to shoot an official NFAA Hunter, Field and Animal round. Also learn how shooting rules are proposed from the Club, to our Region, to the CBH and then to NFAA, where the final vote is taken. The class will run about 1 to 1½ hrs. Just show up. Sunday, May 21st @ 9:00 AM. The cost is $80.00 for materials. This course is preregistration ONLY. ABSOLUTELY NO LATE SHOWS WILL BE ALLOWED. Deadline for Reservation & Deposit is May 7th. Oranco Bowmen will be hosting the CBH / SAA State Broadhead Championship over Memorial Day weekend on Saturday, May 27th & Sunday, May 28th. As a result, BOTH Roving Ranges, the FITA Target, and the Broadhead Pits will be closed starting on Friday, May 26th - Sunday, May 28th. ONLY the Practice Butts will be open. 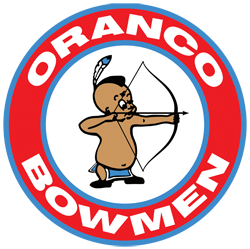 Oranco Bowmen will also be hosting the CBH / SAA State Field Championship on Saturday, June 10th & Sunday, June 11th. 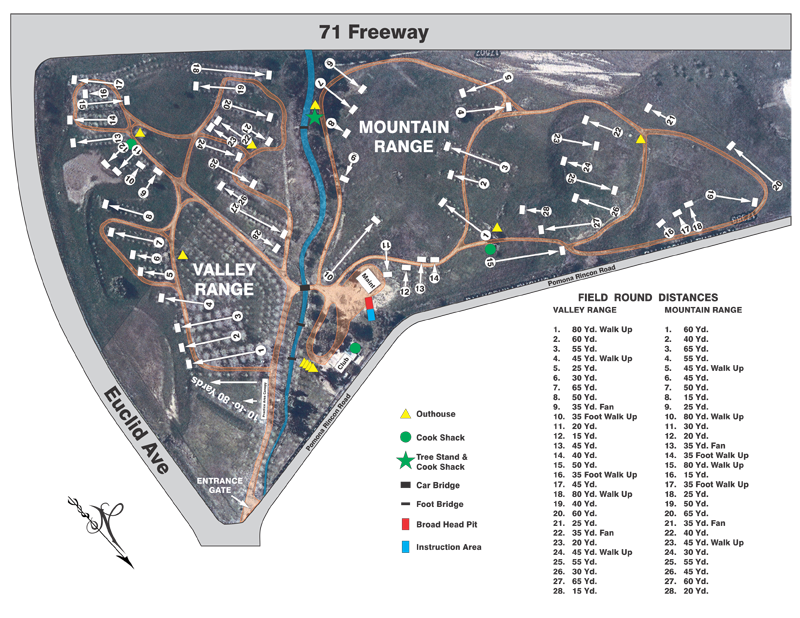 As a result, BOTH Roving Ranges, the FITA Target, and the Broadhead Pits will be closed starting on Friday, June 9th - Sunday, June 11th. ONLY the Practice Butts will be open. Both the State Broadhead and the State Field are coming up. Being that they are both two-day tournaments, a lot of help will be needed for the cook shacks. For those of you who are thinking about volunteering, I will offer you “3” work party credits PER DAY if you work BOTH DAYS of the same tournament. Only “2” credits will be given to those who work only one day. The Continental Breakfast will be served by the Boy Scouts on both mornings and there will be no dinner served on Saturday night. The State Broadhead in May and the State Field in June, will be your two best bets to knock out your dues for the upcoming year. If you work two days for the same tournament, then your done. All volunteers, need to show up between the hours of 7:30 am - 8:00 am. That will give everyone a chance to take their supplies out to their assigned cook shacks. If you want to reserve your spot, please give me a call and leave me a message. First come, first served. I will be available to return your call after 3:00 pm. Till next month, shoot straight and focus on the gold. The Needles Bureau of Land Management needs volunteers to help with the maintenance on the Guzzlers. If you want to help please call Cliff McDonald at (760) 449-4820 or you can Email him to get the details about what they are doing and where to camp. 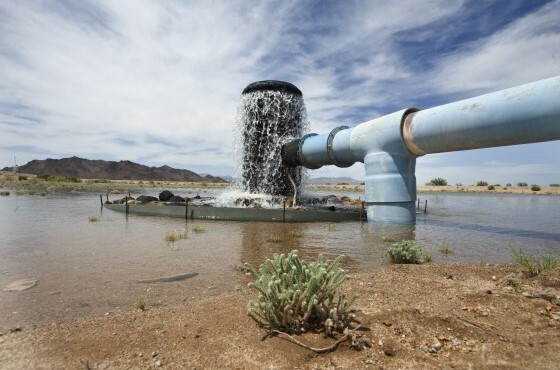 The Guzzlers provide water for the wildlife in the Mojave Desert. For more information see the article below. The Needles office of the Bureau of Land Management has reversed its decision to ban repair and maintenance of man-made desert water catchments – called Guzzlers – that provide important water for wildlife in the arid Mojave Desert. Office staff, concerned the routine maintenance might violate federal law regarding “cultural and historical resources,” halted the volunteer Water for Wildlife project early this month. But on Tuesday this week, Mike Ahrens, the field manager of the Needles Field Office, lifted the ban on the Guzzler work. The new Membership season is fast approaching. I am sending out a renewal notice with how much you owe for the new year. Please fill out the information and send it back with a check, or bring it into the Club House on any Sunday. This way we will have your most recent information. Current Membership is around 415. We've had some good turnouts and some tough layouts so far. The layouts will become a little tougher with a few added trick shots here and there. I have seen about 13 busted arrows so far from those who have dared to shoot the bonus shots. Come on out and test your skills. I must remind everyone that these shoots are a 1 arrow per target only and no range finders. I'm getting reports of multiple arrows being shot. Your entire group will be disqualified and dismissed from the range if I catch you. In case you think people are not watching you, think again. I have had shooters take pictures of some incidents and show them to me. People are always watching. 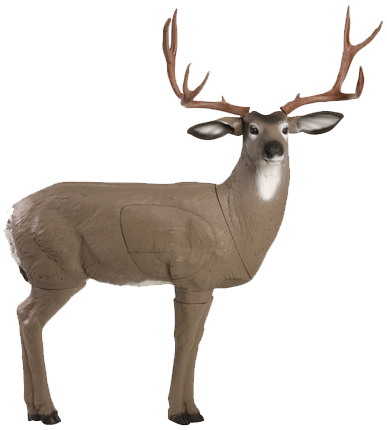 The upcoming shoots will have buck / doe combos with NO mulligans or doe tags available. You will take a -5 if you hit a doe from now on. I have had a few shooters make some remarks on how the course has been set up. Please continue to let me know what you think when you turn your score cards in. I will try to accommodate some of your requests. For any of you who would like to test your broadheads to hone your hunting skills, I will have the May 20th shoot as an optional broadhead, if you choose to do so. For those who shoot the course twice, the first time shooting you may use your broadheads. The second time around you must use field points. If you plan on shooting the State Broadhead shoot the following weekend, this would be a good shoot to attend. If you attend the May 20th shoot and are attending the State Broadhead shoot you may bring your trailer / motor home and set it up for the following weekend. You are only approved to leave it this weekend if you shoot the Scalps shoot on this date. Check in with me before leaving your trailer as we will have designated areas for camping. Just a heads up for those who read these Newsletters, tell all your shooting friends they should try to make it to the May 6th shoot. This shoot will be worth coming to! I would like to thank everyone who comes out to these shoots and supports me on them, please spread the word and come on out. Joe has been rather busy with getting pricing for the drainage ditch materials and pricing for the new aluminum benches, which will replace the old wooden ones. He has been working on getting the range mowed. Supplies have been gathered to fix up target 17 & target 18. He has also replaced the bearings on the mower. Joe met with the Corps of Engineers to complete the range inspection. We passed with flying colors. He is now waiting for the inspection report. Joe has had a crew working on replacing all of the rotten railroad ties on the range with cement. Thank you to all of the helpers on this project. All work party credits after the Big Game shoot will apply towards next year's Club Dues. We had 183 shooters turn out for the Big Game Shoot. Pete said he felt everything went well. Chriss said that all Target Assignment Members have been contacted and the range will be taken care of accordingly. We will be repainting & replacing some of the plugs on the range. Chriss has spoken with the bale vendor again and has asked them for a better price. He is waiting to hear back from them. The Club is in the process of preparing for the State Broadhead. We are also repairing some of the whitetail targets. Bill wanted to remind Members to turn in their Game Cards. He mentioned he has been getting Game Cards from people who are not even Club Members Awards are for Oranco Members ONLY. Club Membership said that the renewals are starting to go out to Members. She is working on adding phone numbers to our Club Membership Roster. Tony mentioned that the last shoot went well. He said we had enough cook shack workers. He said there was even a vendor there with street tacos. The Flint Captain mentioned there were 45 shooters for the last Scalps & Skins shoot. At the time of the meeting, work had not yet started on the cook shacks. There was a discussion among the board in regards to purchasing target spikes, target stakes, and target stands. A motion was passed to make the purchase. There have been some issues regarding ill behavior that has occurred at some of the shoots to include archers shooting more arrows than are allowed by the rules, participants shooting the range incorrectly resulting in safety hazards, the use of range finders, etc...this type of behavior will not be tolerated and is grounds for being removed from the Club. One of the leaders for the Boy Scouts wants to do a District Shoot hosting about 20-40 kids. There was a discussion in regards to what would be required. Joe is forecasting about 250 shooters for the upcoming State Broadhead. There was a discussion in regards to the Club selling used 3-D target animals before they are no longer repairable or usable, at which point no one else wants them either. The discussion will continue until another day. 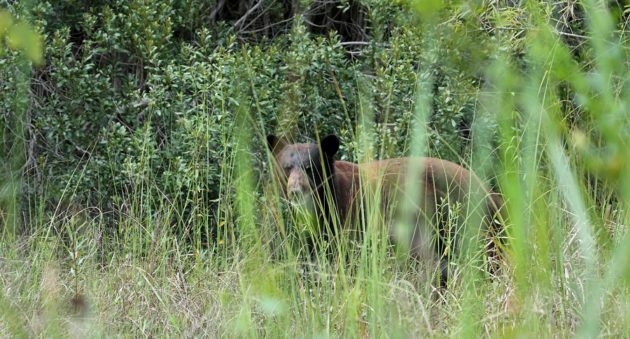 Though the science supports another Florida bear hunting season, the public does not. Wildlife commissioners in Florida have announced the halt of a bear hunting season for 2017 and 2018, despite evidence that says the growing population could benefit from a managed season. Public opinion is torn, as evidenced by last year's protests, and the Florida Wildlife Commission determined they needed more time to explain itself enough to have everyone, or at least a majority, understand how hunting can help. The numbers are in. We had about 10% of the Members who actually read the Newsletter send in their surveys for this section and it was all positive. So, I am willing to give this a shot if you are. Obviously , the only way this works is if we are actually posting and selling / trading quality merchandise for other Club Members to shop for and buy / trade for. The key here is "g ently used Archery Equipment". (At least in the beginning, until we can figure out how well this is going to work out). Fred Bear is one of the biggest legends in the sport of hunting. In fact, many people consider Fred Bear to be the best Bowhunter of all time. Here are Fred Bear’s 10 Commandments of Hunting, guaranteed to make you a wiser hunter. 1. Don’t step on anything you can step over. 2. Don’t look for deer; look for movement (and remember, it’s what they’re looking for, too). 3. Always approach downwind. In the cool of the day, move uphill; in the heat of the day, move downhill. 4. The best camouflage pattern is called, “Sit down and be quiet!” Your grandpa hunted deer in a red plaid coat. Think about that for a second. 5. Take only the gear to the field that allows you to hunt longer, harder, and smarter. 6. A rainstorm isn’t a reason to quit the hunt. It’s a reason to stay. 7. Camouflage your appearance, your sound and your scent. 8. Be sure of your shot. Nothing is more expensive than regret. 9. Hunt where the deer actually are n ot where you’d imagine them to be. 10. 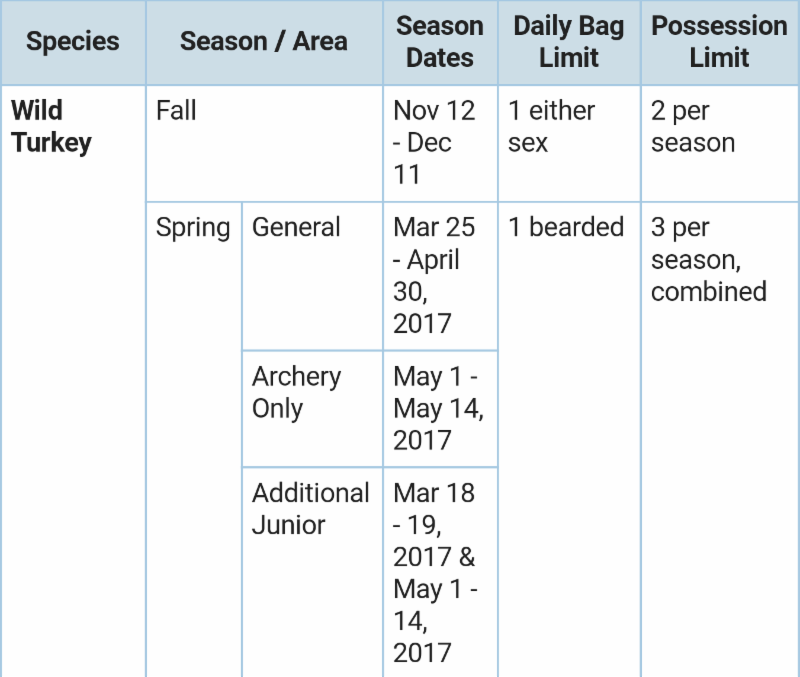 Next year’s hunt begins the minute this season’s hunt ends. Fred Bear is a legend for reason. He knew how to get in close with some of the most challenging Big Game North America has to offer. ***This article was printed in last month's paper version of the Newsletter, I am printing it again in the digital version for the benefit of our email Newsletter members. both days. Lunch available on the Range. be available on the Range.